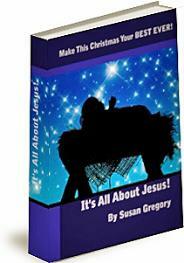 It's All About Jesus this Christmas! 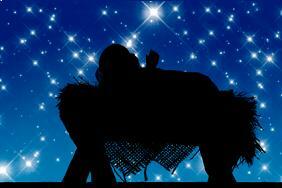 Welcome to Authentic Christmas where we bring Christ back into the center of the Season. Let the LORD be high and lifted up for an . . . It's All About Jesus! is a brand new eBook written especially for men and women who want to turn their attention to the Lord this Holiday Season! Readers are so blessed as they turn their attention to Jesus and away from all the stress, anxiety and consumerism! Yesterday I saw an advertisement for Christmas Bark Candy. It's a fun sweet to have around during the holiday season, made from white chocolate and crushed candy canes. The store offering it was a well-known chain . . . and it did come in a cute little tin box, but the one-pound box of Christmas Bark Candy was $23! And I still would have tax and shipping added to that! So, I'm sending on my recipe for Christmas Bark Candy to you! Just in case you love the treat and want to make it for a fraction of the cost! Just click on the red type and it will open in a PDF file that you can print and/or save to your computer. Christmas Bark Candy is a great gift for family, friends, teachers, co-workers and others. Quick to make and wonderful to receive! I was in the kitchen helping with the meals when Kirsten and Dawit started to reminisce about Christmas traditions they enjoyed when they were growing up. These were activities that had nothing to do with the material gifts they would receive. But instead these were experiences they recall . . . all these years later. Dawit joined our family not long before Christmas when he was seven-years-old. He's from Ethiopia and had lost his family as a result of extreme poverty and injustice. Now 20 years later he was recalling some of the memories he treasures. "I really liked the projects you put together, Mom. Like when we made our own wrapping paper and when we made gingerbread houses. And I liked it when we went shopping to buy toys and pajamas for kids from families that were going through hard times." Kirsten, who will turn 40 this year, recalled simple decorations I added to the tree and the parties we had with family and friends. Listening to my adult children remember these little touches blessed my heart. I didn't realize way back then how those activities would impact them. But as they remembered those joyful and special times I now realize that I was sowing memories into their hearts that they would enjoy for the rest of their lives. Christmas traditions are important for families. They help tie us together and create bonds that are invisible, yet strong. I hope you'll take the time this year to dust off traditions that you have in your family . . . or create new ones that can be treasured for your loved ones. Rich in memory, low in cost, priceless for years to come. Mom, I really loved it when . . .
On Thanksgiving Day I enjoyed one of those sweet blessings parents enjoy! I spent the day at my daughter Kirsten's home with her family . . . and my adult son Dawit joined us for the day.